In this course, I will show you how to build a Shaker inspired bench. But it is not my goal to simply teach you how to build a bench, I also want to help you grow as a woodworker. 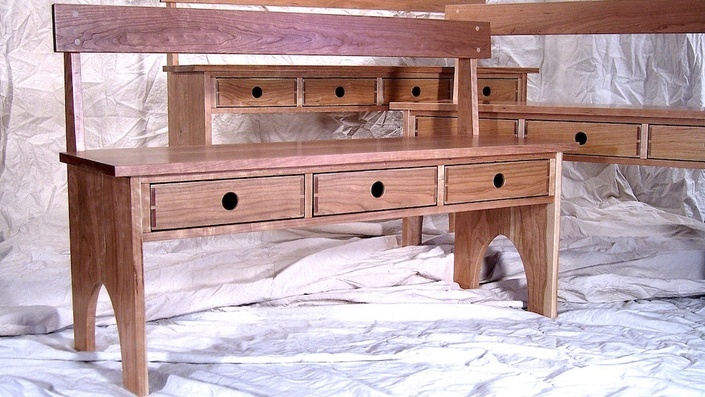 As you build the bench, you will learn many basic techniques, principles, and strategies of woodworking that you can apply to other projects as you continue to grow in your skills. I look forward to working with you in the American Craftsman Shop Class. Course is currently not open for enrollment as the school platform is under construction. Enrollment with pre-sales is expected to start March 2016. Since 1997, Todd has been honing his skills as a carpenter, contractor, designer, and high-end woodworker by serving both residential and and commercial clients in several states. Over the years, he has been sharing his knowledge with others through his site, woodworking forums, magazine articles, one-on-one teaching, and mentoring. At the end of 2015, Todd decided to close out his projects for clients and start teaching full time by launching the American Craftsman Shop Class in 2016. Todd is a juried woodworking artist in the prestigious Western Design Conference, and his work has been shown in galleries and museum exhibitions. Todd works in the American Craftsman Workshop located in Billings, Montana.